Today is Saturday. I am sitting in my classroom while grading essays, finishing this blog (that I was supposed to finish yesterday...oops! ), writing lesson plans for the coming week, and watching my two-year-old attempt to destroy my classroom. This is my life. My husband, at home with our other kid, is probably relaxing in the recliner, taking a nap, or watching cartoons. He's probably used the bathroom alone at least twice today. He may have even eaten an entire meal without having to share a single bite of it. I just split a bite-size Snicker bars with a two year old because I was in desperate need of some chocolate and she caught me mid-bite. Being a mom is vastly different from what I had expected. I'm honestly not even sure what I expected anymore because any goals or expectations were thrown to the wind roughly 45 seconds after my oldest child was born. My present goals are that everyone eats something every day, at least one person gets a bath daily, and for me to brush my teeth. That's it. 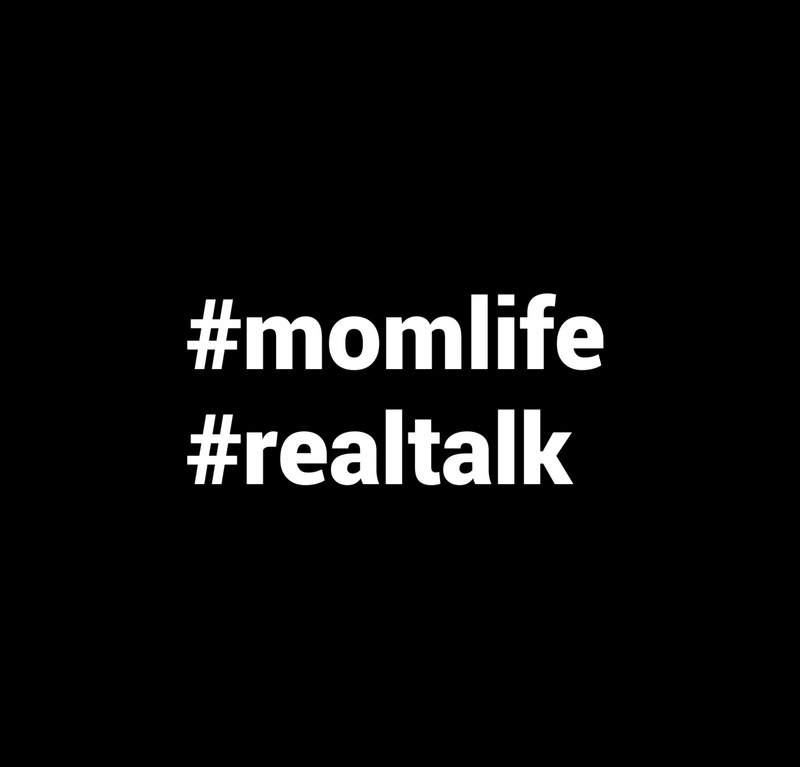 If I spend more than a nanosecond reading parenting blogs and posts, I will convince myself that I am not worthy of being a mom and that Child Services should take my kids away. Hell, they may be on their way right now. I don't cook Pinterest-worthy meals. I don't get the laundry washed, dried, folded, and put away in the same day. Sometimes, I don't get it done in the same week. I have let myself go so much that I am currently wearing maternity shorts and my youngest is fifteen months old. My stress level should probably be worrisome, but being worried about it would require a doctor's visit. Who has time for that?!? Concerning my parents, I vividly remember my mom being the parent who was more often outwardly stressed. She always seemed to have a shorter fuse than my dad. If things weren't done the way she wanted them done or in the timeframe she wanted them done, we were in trouble. And, guess what? I GET IT! 100%! I understand the frustration when all you want is for someone else to put a new roll of toilet paper on the dispenser. I understand losing it a little bit when the trash isn't taken to the street because "there was only a few bags in there so it's not a big deal." On the rare occasions that I do slave over a meal, I relate with the frustration of having my little ones throw it on the floor and my husband deciding to make himself something else. I get it. All moms get it. I've seen memes lately that say, "Cinderella didn't ask for a prince charming; she just wanted a new dress and a night off." Another meme says, "I now understand why Mama Bear's porridge was cold." These are so painfully true. I would love to have a night off. No cleaning. No diapers. No bedtime. No cooking. No cleaning. No mom duties. Just for a few hours. I would love to eat an entire meal myself without having to share bites from my plate, or my food getting cold before I finish eating. I'm not saying that I hate being a mom. On the contrary, I love being a mom more than I have every loved any other title I've ever had. My kids are the bee's knees! But, how cool would it be if I could request some time off without being made to feel like a failure or that I'm abandoning my kids? How much fun would it be to temporarily be a dad who gets to play with the kids, cuddle with the kids, and then take a nap with the kids without feeling like you are neglecting some other aspect of your life? But alas, I'm a mom. So I return to grading papers, writing lesson plans, finishing this blog, and trying to keep my kid from getting hurt while playing in my classroom. Oh, on my point of view your writing style is simply perfect. You may write the best custom essay writing for sure and earn on it some good money, try to do it!